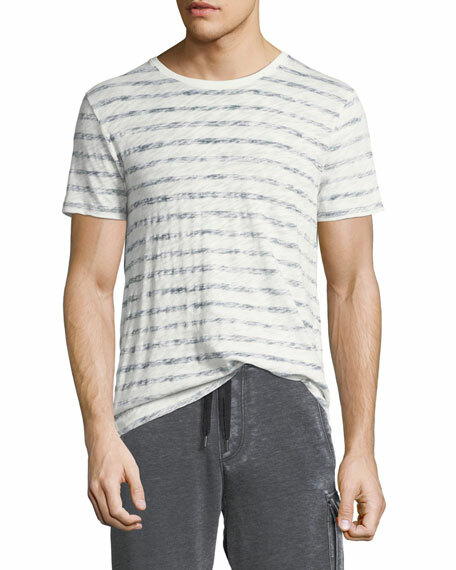 ATM Anthony Thomas Melillo distressed T-shirt in painted stripes. 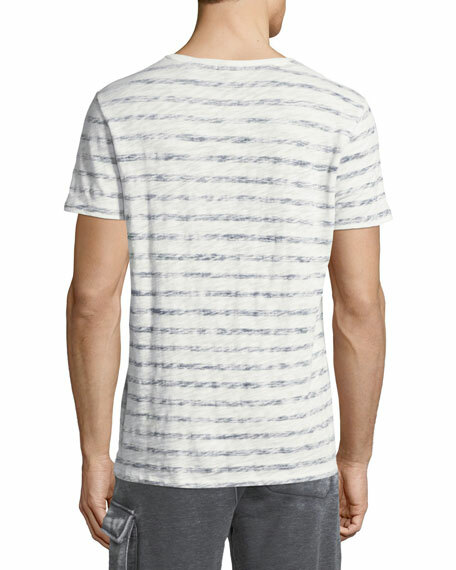 Calvin Klein 205W39NYC T-shirt with photographic flag front. Crew neckline. Straight hem. Cotton. Made in Italy. Model's measurements: Height, 6'1"/185cm, Suit 40L, Shirt 15.5 x 35, Waist 32"/81cm, Inseam 33"/84cm. 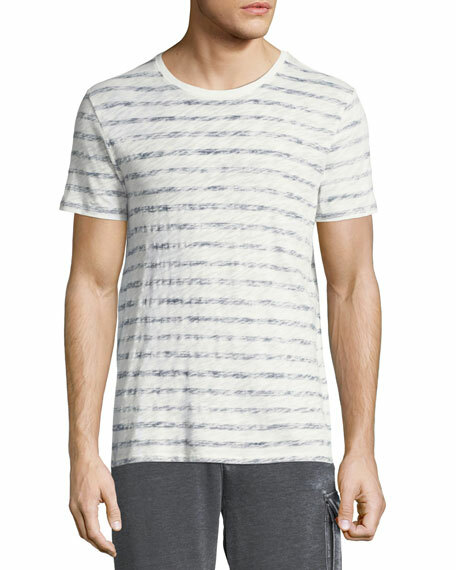 Calvin Klein 205W39NYC rugby T-shirt. Crew neckline. Raglan sleeves. Straight hem. Cotton. Made in Italy. Model's measurements: Height, 6'1"/185cm, Suit 40L, Shirt 15.5 x 35, Waist 32"/81cm, Inseam 33"/84cm. Coach T-shirt from the Disney x Coach Dark Fairy Tale collection. Graphic front appliqué. Crew neckline. Straight hem. Cotton. Imported. Coach T-shirt from the Disney x Coach Dark Fairy Tale collection. Graphic front appliqué. Crew neckline. Straight hem. Cotton. Imported. Model's measurements: Height 6'1"/185cm, waist 32"/81cm, typically wears size M.